Are birds creating havoc in your home and office? Birds of a feather flock together. But you sure wouldn't want them flocking near your residence and premise; for they don't just come in flocks but also bring along several nuisances and diseases. While native Australian ones hardly pose as problems certain species can be real pests. 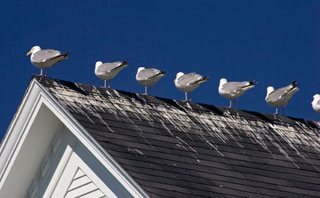 Of all these pests Seagulls are native to Australia, others include pigeons, Indian Myna, house-sparrows, and starlings. They cause serious damage to your property and assets while housing ad nesting, which is why taking serious action against them is a must. At Protech Pest control, we are mindful of the fact that you would need riddance from them at the earliest. We inspect your home, surroundings to identify the species as well as the food source. Accordingly, we provide solutions and treatments that will keep your home free from pesky birds. Bearing the burden of a Bird infestation? 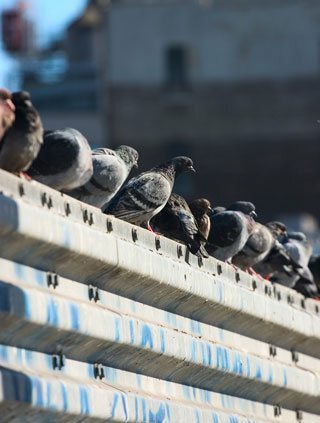 Most birds are professionals at housing in the most cramped areas. They somehow manage to build their nests, scavenge for food and even feed on stored food, fruit, vegetables, ruining it for you to consume. Allowing them to hang around for long means that you will soon have a host of them lounging around. 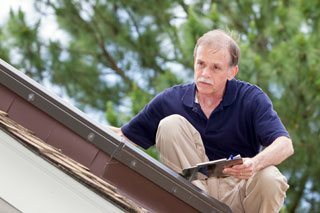 Flat roofs, balconies, vents, space above or around air-conditioners, make ideal spots for them to house. Their noises, droppings and nests are an obvious enough sign to convey a message that your home is also a home to birds in the area. Debris from nests are a sign that you either already have them living in parts of your property or birds have seen your property as ideal to build their next home. Damaged fruits and vegetables - produce from trees are a large part of their's diet. They peck on the fruits and vegetables but do not consume them entirely, leaving them to spoil. Deterring birds from getting onto your property. Discouraging bird pests from raging your property and destroying their nests is definitely something you need to leave up to the professionals. Our professionals will provide you with a host of options, all of which do not damage the eco-system or cause health hazards, while effectively getting the birds to evacuate from the premises. How do we do this you ask? Use of nets to prevent them from landing and loitering around home. This also acts as a barrier against nests being built. Spikes, being pointed in shape prevent birds from hovering or landing on the said area. Gels and repellents are also an effective way to keep them at bay. Both of these are not harmful to your family or pets but definitely repulse the birds. 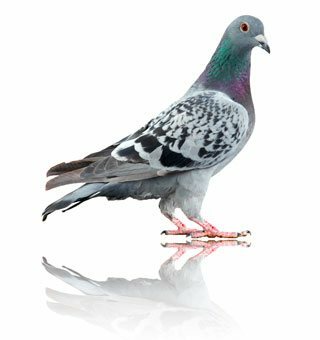 Electric Bird Deterrents are also an effective and humane way to keeping them away. They only get a minor shock that does not harm them but lets them know that the said area is not safe for them to land on. The Optical Bird Scarer is a smart way to deter bird pests. It reflects beams onto these pests making them think a predator is around. They thus get petrified and fly away in search of a safer place. Birds aren't just a nuisance to your property and peace of mind. They carry with them a host of diseases and lice with them. Did you know birds can be the carriers of close to 60 diseases? That's right their droppings too are acidic in nature and erode the surface they fall in. When they dry up they can cause respiratory diseases. Whether it's your business or home, these pests can do some serious damage to your property, health and reputation. In spite of putting in little efforts like denying access to nest areas, cutting off food sources and sealing garbage bins tightly to prevent scavenging, we know you're going to need professional help. Our skilled professionals are trained to tackle every one of your bird pest problems. Don't worry we do not harm the birds but do ensure that they move a little closer to natural habitats, thereby keeping you free from them. Being acquainted with their diet, behavioral habits, types of species, breeding habits, we customise a solution that fits within your budget. What's more, our professionals give you a detailed explanation on the threats you run, the graveness of the problem, and what you ought to do! If that's not all, we also do keep a check on your home to ensure such pests do not return. Are they fully accredited and licensed to carry out pest & bird control services from the Victorian government? Is their bird removal technology up-to-date and environment-friendly? Finally, do they guarantee getting rid of the birds and ensuring they do not return?